On this page, you can read some of the reviews our patients have left in the past. We thrive on feedback from our patients, and encourage you to share your experience with us, at any stage in your treatment. If you have the time to leave us a review, please click on the Review us on Google button below. Thank you for taking the time to evaluate us! They were so nice! It was a very warm welcoming that I felt when I went in. They answered all of my questions & were very informative. I'm looking forward to working with them in the future to get my smile where I need it to be! Thank you! I've been going to Dental Excellence of Greenhaven for about 7 years now. They have always provided excellent customer service, and have taken great care of my teeth. Their office is very welcoming and super clean. Their location is easily aaccessible the freeway, and is in a nice business park.They always go the extra mile to provide comfort, even offering warm blankets to use while you're in the exam chair, and refreshments in the lobby. 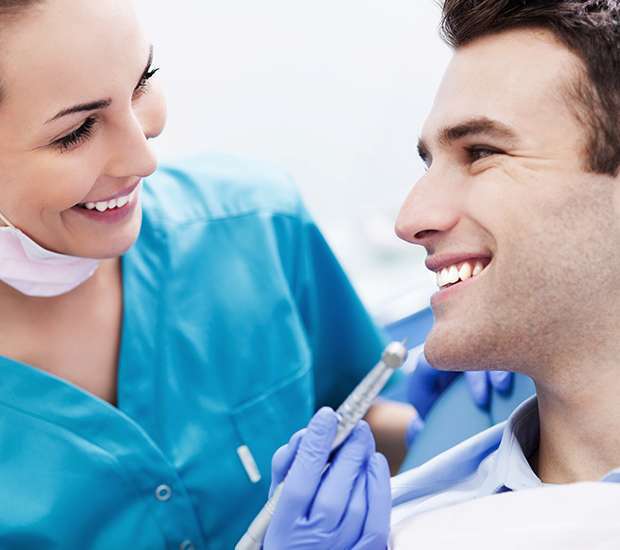 If you're looking for a nice dental office, Dental Excellence of Greenhaven is the place to go! I love the staff at Dental Excellence. Everyone is so friendly and they really cater to your needs. I got fast braces last year (still have them) and Dr. Wong really made sure I am pleased with how things are going. He listened about my concerns and did whatever it is that needed to be fixed to my liking. I can't believe how fast my teeth straighten in less than a year! Dr. Wong and Kathleen does a great job of getting me in and out of the office whenever I have my ortho appointments. Let's not forget the amazing receptionists and everyone else in that office who makes life a little easier. Thank you for your extraordinary service! Three months ago, I came here since my tooth had started to feel pain and there was no way I could stop the pain that was residing -- it was hard for me to eat and drink. I decided to go to the dental office to examine my teeth. I found out that the cavities on my tooth had gone really worse to the point that the fillings I had 4 months ago would need a root canal treatment. Getting a root canal was the most painful dental experience I had in my past 20 years of my life. I was given 5 shots of anesthesia on my gum since it was hurting so badly. However, the anesthesia only numbed my gum and I could still feel the pain caused by the nerve on my teeth and my gum was bleeding when the dentist was going through the process of root canal treatment on my tooth. I was fully awake during 1.5 hours of the treatment and was trying really hard to hold back my tears despite how pain and hurt it was. I am really thankful for the dentist who had helped me end this pain and fixed my teeth. I also came back here to fix my cavities and it wan't feeling pain at all. I came back for a six month regular check up and cleaning. They did a great job in cleaning my teeth and letting me know the fillings that I need to be fixed before it gone worst. Would recommend anyone to come here if you are afraid of pain. The good thing is they open on Saturday and there are plenty of parking spaces available! I've gone to dentist's in the past but I must say this is the place to go to. The dentists, hygienist and front office girls are super nice. The dentists are super patient; they walk me along the way and make sure i am ok and comfortable during procedures. The location is great and atmosphere is warm and friendly. I would recommend this place to friends and families. Ong T.
Let me first start by saying I have an extreme and unnecessary fear of the dentist. My childhood dentist drilled multiple times without being completely numb, so pain is something I always associate with dental work. This is the second time I've had a procedure under sedation with Dr Wong and he is by far the best! I'm not the easiest to sedate, I sometimes get pretty chatty and don't listen to instructions, but the team here is incredibly patient and kind. I've gotten one extraction, a deep filling and two crowns, all of which have been fabulously done. We drive from north of Lincoln to see this office and are incredibly happy with both the treatment from Dr Wong as well as the staff. The front office is always warm and welcoming too. Keep up the good work! I'm looking forward to continuing my dental treatment with your office. I came here for a second opinion because I was told I had an infection and would need a root canal or extraction. I came here and got xrays and examined thoroughly and found out I have no infection and that the tooth is not even dead at all. I was told I would need to pay about 2k out of my own pocket at least with dual coverage. I'm so glad I came here. I love the place and they know what they're doing. I had to get a tooth pulled because I just couldn't bare the pain. I was a big cry baby. (Literally) "Dr. A" and his assistant where very helpful and answered all my questions and concerns. They offered multiple treatment options and suggestions with respect and consideration to all my special and unordinary concerns. I'm pretty difficult with these type of things but the team of staff was very pleasant. I hadn't been to the dentist in a long time. I would have gone the rest of my life without ever going back to a dentist if I could have, but reality intervened. I chose Dental Excellence of Greenhaven because of the sedation options, encouraged by the yelp reviews, and I was not disappointed. Everyone there is extremely professional, helpful and friendly. I'll be going back (can't believe I'm saying _that_ about the dentist) but will be going with a sedation option stronger than nitrous this time I think (didn't get much out of it last time, anxiety wise.) 5 Stars pretty much says it all. These folks are great, and I would recommend them to anyone.